If the proliferation of Mean Girls (released in 2004) memes on the Internet hasn’t convinced you that the nostalgia cycle is faster than ever, consider that early iPods and Apple promotional materials are now being marketed as classic collectors items—with Ebay values rivaling more traditional memorabilia from far earlier decades. The numbers collected by a recent piece in The Guardian are sort of staggering. After all, you wouldn’t even pay full price for an iPhone 5 at this point. A factory-sealed third-generation iPod shuffle? $999.95. Mint condition fifth-generation iPod classic, in white? $1,394.99. A silver first-generation iPod mini? Yours for $2,499.99. But these are on the low end of the price scale. If you have a special edition, especially if it’s still in its original packaging, you could be looking at much more: Apple’s fourth-generation red-and-black special edition released in partnership with the band U2 are trading for around $7,000, used. And that’s before you get to the real collectors’ items. A first generation iPod classic – “battery is really good for its age” – is on sale priced at $9,999.99. A second-generation, still-boxed iPod classic – that’s the last version that had the moving wheel – is currently listed for an extraordinary $19,999.99. This isn’t just wishful pricing on behalf of the sellers, either. There’s a real market for these items—even listed at an astronomical expense. An experienced Ebay seller, who typically trades in sports memorabilia, told the Guardian he was was noticing a real demand for Apple goods, and had recently sold a cardboard ad for the brand for $2,000. And that’s nothing compared to a U2 special edition iPod Classic, which sold for $90,000 two years ago. 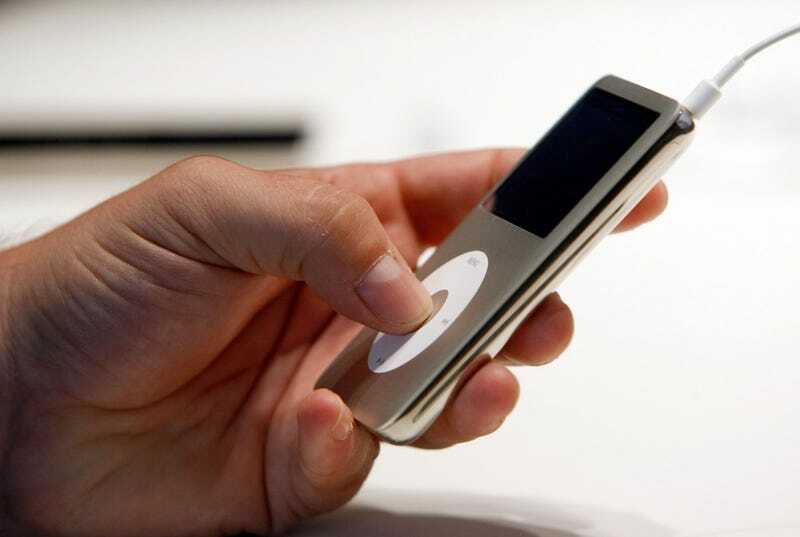 The article cites the 2014 discontinuation of the iPod as a key factor in the price jump. But interest in Apple items goes far beyond their technological capacity—their value stems from the brand’s cultural cache as emblematic of that not-so-bygone era. Take, for example, a framed poster ad for the original iPod Classic—a piece of paper that appears to be in pretty good, but not remarkable, shape considering it’s only 15 years old—which is on sale for $8,999.99. “WE ARE SO BLESSED TO HAVE A WONDERFUL SELECTION OF VINTAGE APPLE ITEMS...!!! !” the seller’s descriptions boasts. And since I’m pretty sure I bought my mom an iPod shuffle for Christmas a while back that I’ve yet to see her use, I guess I’m pretty blessed too.